A light, chambray short suit by Greylin is the perfect combination of double duty essentials for a summer wardrobe. The shorts are comfortable and cute enough to wear in and out of bed, while the jacket keeps you looking smart and stylish day and night. Put them together and you have an effortless look preaching the chic for you, no work necessary. AMAZING outfit combination as usual. 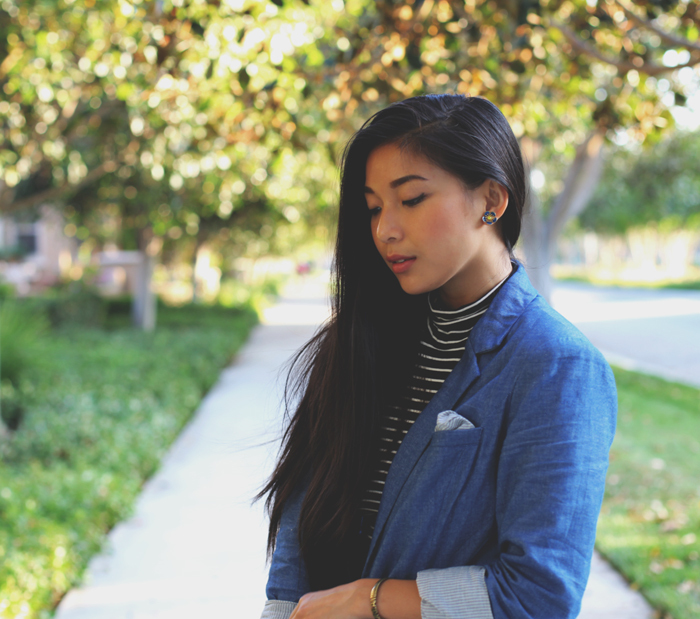 You're gorgeous, I love this chambray suit. This is a quite a clever way to chic-up those comfy casual shorts! love the coloring in these photos.